2) Nancy Lamoureux Wilson - singer, songwriter, and guitarist, and member of the group Heart. 1) Nancy Sue Wilson (born February 20, 1937, in Chillicothe, OH, United States) is a jazz diva famous for recording American standards in the 60s. She was among contemporary music's most stylish and sultry vocalists; while often crossing over into the pop and R&B markets -- and even hosting her own television variety program -- she remained best known as a jazz performer, renowned for her work alongside figures including Cannonball Adderley and George Shearing. Wilson first attracted notice performing the club circuit in nearby Columbus; she quickly earned a growing reputation among jazz players and fans, and she was recording regularly by the late '50s, eventually signing to Capitol and issuing LPs including 1959's Like in Love and Nancy Wilson with Billy May's Orchestra. Her dates with Shearing, including 1960's The Swingin's Mutual, solidified her standing as a talent on the rise, and her subsequent work with Adderley -- arguably her finest recordings -- further cemented her growing fame and reputation. In the years to follow, however, Wilson often moved away from jazz, much to the chagrin of purists; she made numerous albums, many of them properly categorized as pop and R&B outings, and toured extensively, appearing with everyone from Nat King Cole and Sarah Vaughan to Ruth Brown and LaVern Baker. 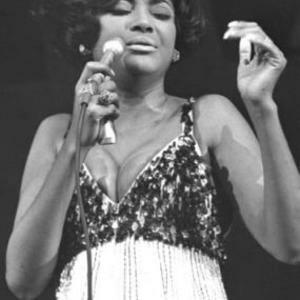 She even hosted her own Emmy-winning variety series for NBC, The Nancy Wilson Show, and was a frequent guest performer on other programs; hits of the period included "Tell Me the Truth," "How Glad I Am," "Peace of Mind," and "Now, I'm a Woman." Regardless of how far afield she traveled, Wilson always maintained her connections to the jazz world, and in the 1980s, she returned to the music with a vengeance, working closely with performers including Hank Jones, Art Farmer, Ramsey Lewis, and Benny Golson. By the 1990s, she was a favorite among the "new adult contemporary" market, her style ideally suited to the format's penchant for lush, romantic ballads; she also hosted the Jazz Profiles series on National Public Radio. In the early 2000s, Wilson recorded two albums with Ramsey Lewis for Narada (2002's Meant to Be and 2003's Simple Pleasures). Her 2004 album R.S.V.P. (Rare Songs, Very Personal) was a blend of straight-ahead jazz and ballads, similar to her next record, 2006's Turned to Blue, which, like R.S.V.P., used a different instrumentalist for each track. In 2005, Capitol released a three-part series to pay tribute to Wilson's contributions to music in the '50s and '60s: Guess Who I Saw Today: Nancy Wilson Sings Songs of Lost Love, Save Your Love for Me: Nancy Wilson Sings the Great Blues Ballads, and The Great American Songbook. 2) Nancy Lamoureux Wilson (born March 16, 1954, San Francisco, CA, United States), more popularly known as Nancy Wilson, is an American singer, guitarist and songwriter. Along with her older sister Ann Wilson, she is part of the Seattle/Vancouver rock band Heart. She is married to film director and screenwriter Cameron Crowe and has composed and performed music for most of Crowe's movies, including Jerry Maguire, Almost Famous, Vanilla Sky, and Elizabethtown. While Ann is the lead singer on most of the Heart recordings, Nancy is the lead vocalist on Treat Me Well, These Dreams, Stranded, There's The Girl and Will You Be There (In The Morning), and frequently performs background vocals. She is also the band's rhythm and lead guitarist. In 1999, she released a live solo album, Live At McCabe's Guitar Shop.